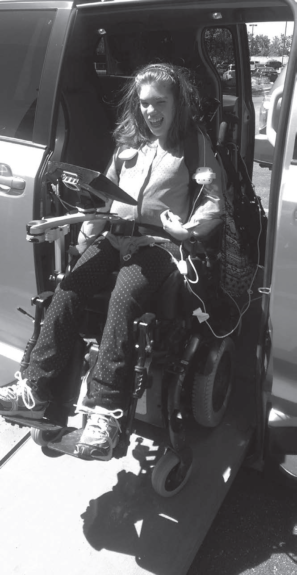 Would assistive technology or specialized equipment help you enter or remain in the workplace? Would it help you live more comfortably in your home? Or do you need help going to school? Thanks to a state program, EquipALife is offering loans to help Minnesotans with disabilities meet such needs. But the clock is ticking on the program and the funding availability, so people wishing to obtain loans need to apply soon. In 2017, the Minnesota Legislature completed a three-year process of dedicating $1 million toward low-interest loan programs. EquipALife is working to raise $4 million to sustain the programs into perpetuity. Apply as we work with the Minnesota Department of Employment and Economic Development (DEED) as the oversight agency for this appropriation. A contract timeline requires EquipALife to spend down a significant share of the funds prior to the end of the 2019 fiscal year, so be aware that time is running short. If your loan is approved, EquipALife can reserve the funding if you anticipate having to soon replace worn-out assistive technology, add home modifications, purchase employment-related equipment and pay copayments reducing your cost with the lower rate and flexible terms offered through the program. Eligibility requirements including being a resident of Minnesota for the past six months, having a documented disability and being capable of repaying the loan. Call EquipALife now for your opportunity to finance equipment to improve the quality of life, to work, attend school, purchase a vehicle and look at your future needs while we continue to raise additional funds to ensure you receive the devices, services and equipment for full inclusion. You will be surprised how technology has really changed our world. Applications are online at: www.equipalife.org/programs.html or by calling 763-497-8239 or 763-479-8233. Online applications are available in word or in .pdf file format. Alternative formats are available upon request. To locate the forms, go to the program tab and download the micro-loan (Alternative Finance Project) for assistive technology or to Telework for anything you need to be successful in building your career. The current funding builds on EquipALife’s long history of service to our state, focused on elders and people with disabilities. In 2004 EquipALife, then known as Assistive Technology of Minnesota, launched the first program of its type here, with alternative financing to purchase assistive technology and employment-related equipment. In the last year of federal funding under the Technology Related Assistance Act, the federal government awarded 13 states including Minnesota the seed capital to start an alternative financing program. That funding and the federal New Freedom Initiative’s one-time pool of funding helped many people. The New Freedom Initiative had an emphasis on helping people with disabilities to purchase employment-related equipment. A primary emphasis was on working from home, helping people start a business, or maintain or expand an existing enterprise. EquipALife successfully applied for funds under the Access to Telework project, making Minnesota one of 19 states to receive an award as demonstration projects. Combined, the programs helped EquipALife to provide more than 900 loans. That meant almost $8 million became available. Recipients had to repay the loan capital in exchange for the funding awards. Over time EquipALife has researched additional financial solutions, learned how to assist individuals with pooling their funds and worked with insurance carriers to help people play for needed technology and equipment. At EquipALife, we look forward to providing the solution and wiping away the barrier(s).